This statistic shows the results of a survey concerning the different payment options offered in online shops in Germany in 2014. 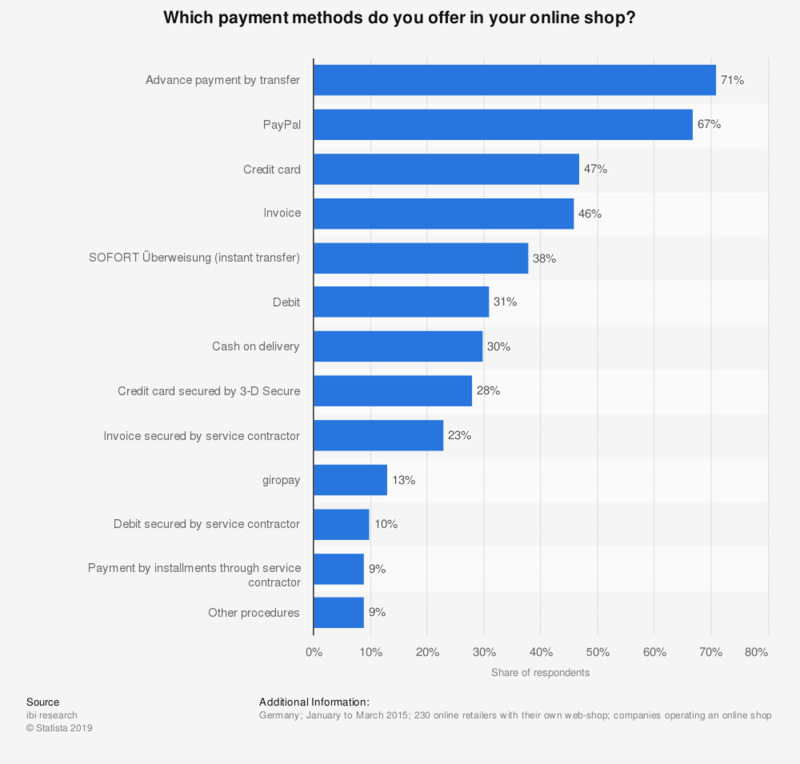 During the survey period it was found that 67 percent of responding companies stated that their customers had the option to pay via PayPal in their online shop. In your opinion, how important are the following criteria when choosing an online shop?